Excellent parallel you've drawn here, darling! 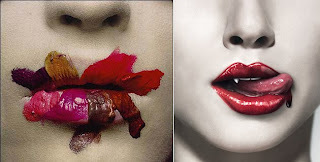 I love that Irving Penn photo! Irving did amazing work...have a great weekend! Reading left to right, as I do, I thought to myself, "That looks like the True Blood ad".